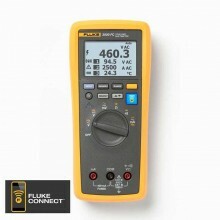 Includes: Fluke a3003, DC current module, Batteries, Hanging strap magnet and Quick start guide. 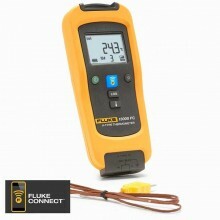 The Fluke a3003 is the tool of choice for high current DC ammeter applications that require measurements up to 2000 A DC. 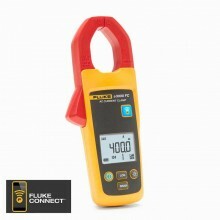 The extra-wide jaw easily clamps around large conductors, typically found in mining, utility, marine, rail or other heavy manufacturing industries where large DC currents or large current carrying cables are found. 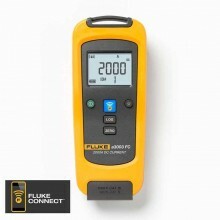 The Fluke a3003's unique jaw construction allows for a wide measurement range meaning that you can accurately make measurements from 10 A DC to 2000 A DC. 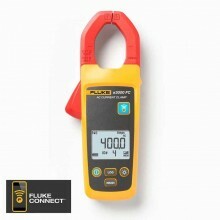 Fluke Connect Wireless Test Tools put tools, not your body, near hazardous electrical environments or dangerous work locations. It's simple. 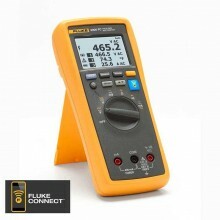 Connect the Fluke a3003 FC DC current meter or any of the other Fluke Connect remote meters, and read the results on the Fluke Connect Wireless Multimeter or a portable PC from a safe distance. Measures from 10 A to 2000 A DC. 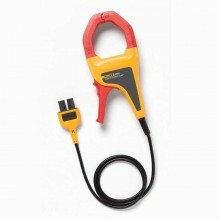 Large jaw size (64 mm) for measuring large, high current conductors. Use the logging function for the recording and saving up to 65,000 measurements. 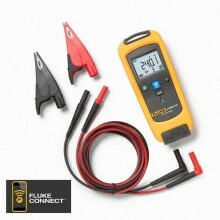 1000 A to 2000 A DC. LCD w/backlight 3 ½ digits. Log rate/Interval 1 sec minimum/adjustable by PC or front pannel. Memory Record up to 65,000 readings. 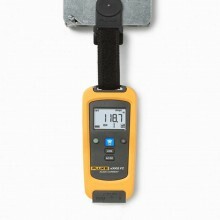 Obstructed, concrete wall or steel electrical enclosure: Up to 3.5 m.
Operating temperature -10°C to +50°C. 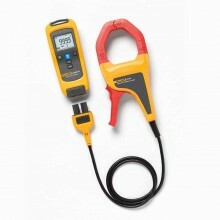 Storage temperature -40°C to +60°C. 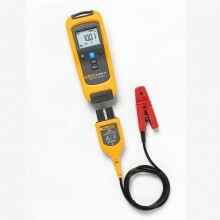 Temperature coefficient Add 0.1 X (specified accuracy) /°C (< 18°C or > 28°C). 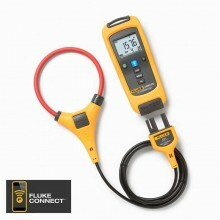 Ingress Protection (IP) rating IP42. Dimensions (H x W x D) 16.5 mm x 6.35 cm x 1.4 cm (6.5 in x 2.5 in x 1.4 in). Weight .65 kg (1.75 lb). 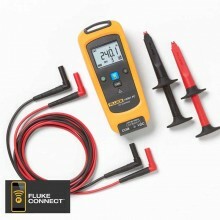 Note: Not compatible with Fluke CNX test tools.